Here are some interesting facts about one of the fastest growing tourist destinations in Europe – the little postage stamp country of Montenegro. This small country is hugged on three sides by Croatia, Serbia, Albania and Bosnia/Heregovnia, and to its fourth side, by the Adriatic Sea. Its newly independent government is working hard to expand the burgeoning tourist economy, but currently it is a relatively unspoiled, uncrowded, cultural and historical destination of amazing natural beauty. 1) Montenegro ( which means Black Mountain)is part of the Balkan region with mountainous terrain for the most part in its interior and with a very narrow area of flat coastal land along the Adriatic. 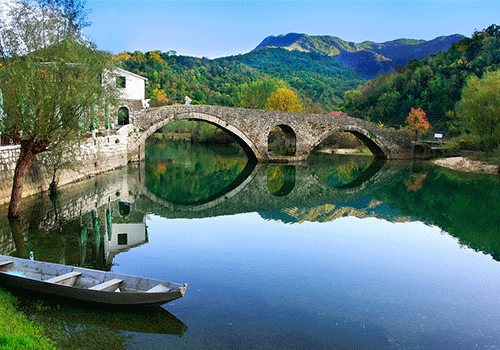 Because of its topography, it is a blend of Balkan and Mediterranean weather and culture. 2) Its Tara Canyon is the second deepest canyon in the world, and a UNESCO World Heritage site. 3) Majestic Skadar Lake in the south west, and shared partly with Albania, is the largest lake in the Balkans and a National Park. 4) Another National Park worth a visit, Durmitor, is a UNESCO site as well. Tourists flock to this area for the fresh air activities of hiking, mountain climbing, skiing, biking and more. 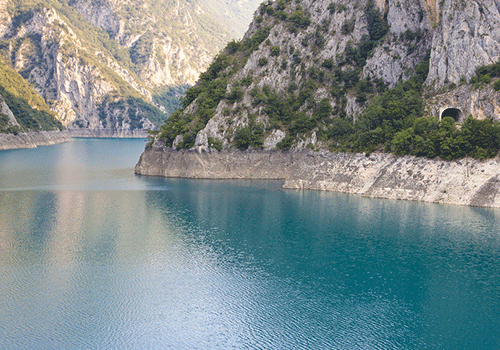 5) The Bay of Kotor near the Croatian border is actually a fjord, the most southerly in Europe. Because of its shape and shelter, it is a large natural harbor catering to cruise ships, luxury yachts and vessels of all sizes in the Adriatic. It, as well as the old city of the same name, are both UNESCO sites too. 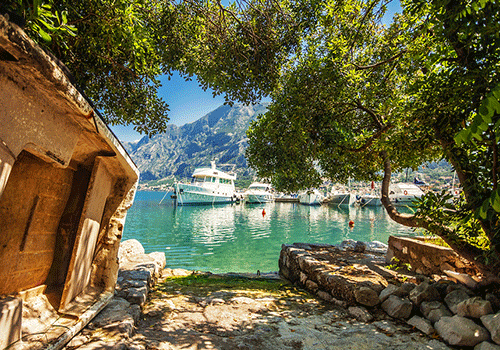 6) Off Perast, not far from Kotor city, are the islets of St George and Our Lady of the Rocks. The latter contains a church and museum, and both islets can be reached by water taxis. They are definite points of interest for any visitor to the country. 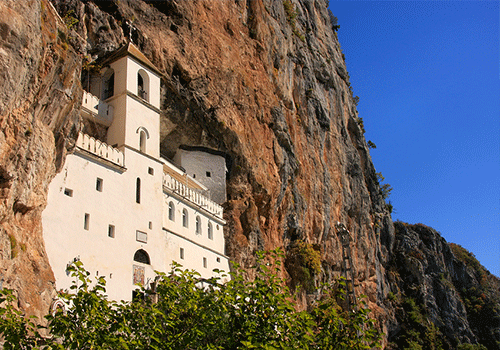 7) Another religious building of interest is the Ostrog Monastery. It is built into the rocky side of a mountain. 8) Perhaps the best known destination in Montenegro and once popular vacation spot of the rich and famous, is the resort area of Sveti Stefan on the Adriatic. Because it borders the Adriatic Sea, Montenegro is not short on beaches or varieties of beaches – from popular to hidden, from sand to pebble. This particular resort consists of a small islet connected to the mainland beach by a causeway, and the complex includes both areas. You can visit Montenegro by land, either on a guided tour or as part of a custom itinerary, but perhaps the best way is on a luxury cruise ship on an eastern Mediterranean voyage. Many of the top brands of luxury lines stop by Montenegro – to miss it, would be to miss one of the most beautiful unspoiled regions of the Mediterranean. Article first appeared on Real Travel Experts. 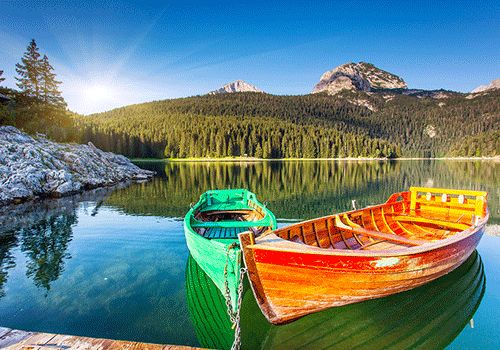 Feature image of Durmitor National Park courtesy of Bigstock.